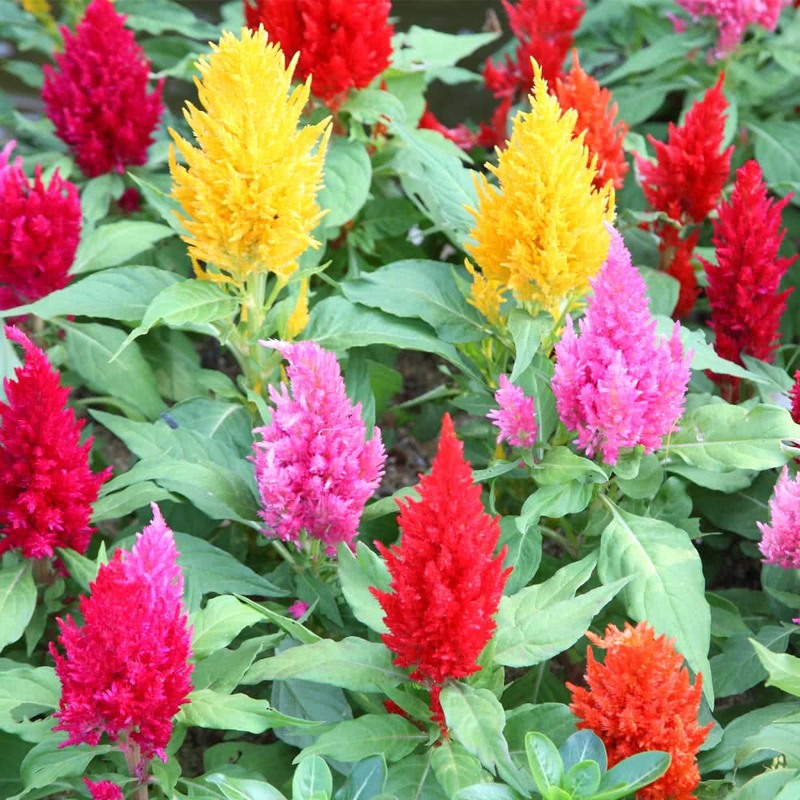 These flowers look like feathery plumes and the colors are vibrant with reds, oranges and yellows. The seeds are extremely small and requires soil temperature of 60oF or warmer. Introduction and Uses: It is a beautiful and easy to grow annual. C. plumosa forms narrow conical flower heads. It has bright yellow, orange, pink and maroon-red colored flowers. Cockscomb is useful as a bedding plant or for borders and pots. It can be used as a cover plant in the shrubbery, especially a newly planted one. The flowers are suitable for cutting and can be dried for table decorations as the dry flower heads of cockscomb retain the colors for a long time. The plant attracts butterflies. Read about how to create butterfly garden. Plant Height: 50-100 cm in summer, more than 100 cm in monsoon. Seeds can be sown in January and February for flowering in summer months and during May-June for flowering in the rainy season. Immediately after sowing the seeds, water carefully with a watering can. If grown by transplantation method, seedlings should be transplanted when small (2.5-3 cm) to avoid shock. Planting Distance: 40-60 cm between two plants. The plant can be grown in a 25 cm pot. Watering: Plants require plenty of watering. 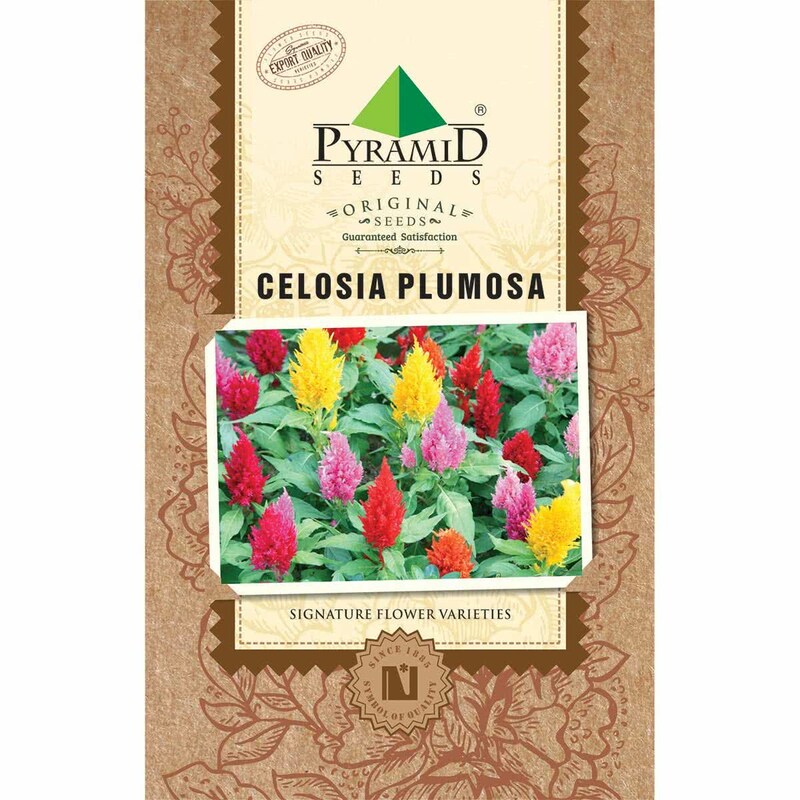 Plant care: Rust and rot can be quite severe in Celosia. Affected plants remain stunted and do not flower properly. Spray fungicides like Uthane and Saaf to control infection. Bloom time: Flowering takes place in about 2.5 months after seed sowing.